PE PIPE FAQ page has been adjusted in order to ask your questions and uncertainties which is discussed in relation to PE pipe. 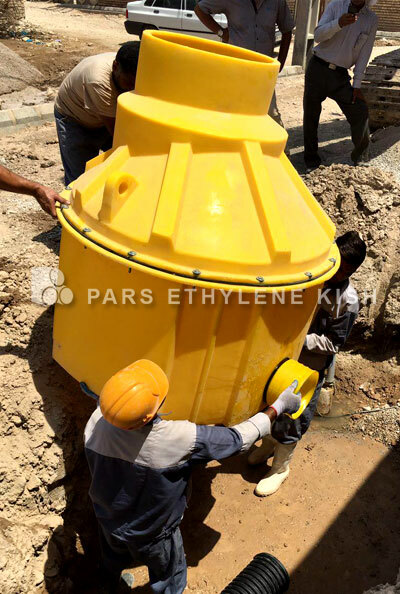 you will get your answer in your electronic mailbox After reviewing Pars Ethylene Kish experts. after that your question and answers will be listed on the page. 1 - Why is PE pipe better? 2 - What makes PE unique? 3 - PE-HD Pipe is Lightweight and Impact Resistant ? 4 - What is HDPE pipe? 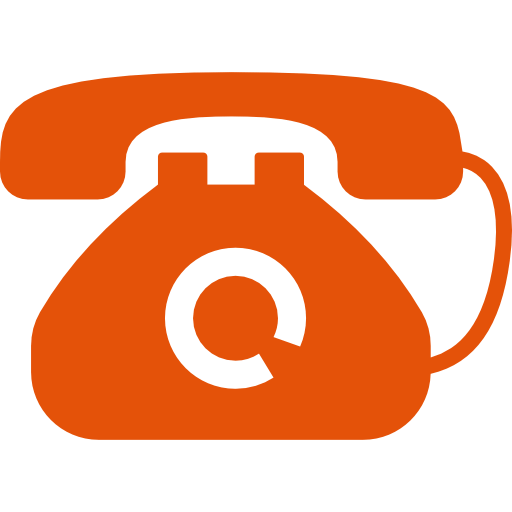 5 - How do the failure rates of PE pipes compare to those of ductile iron and PVC ? 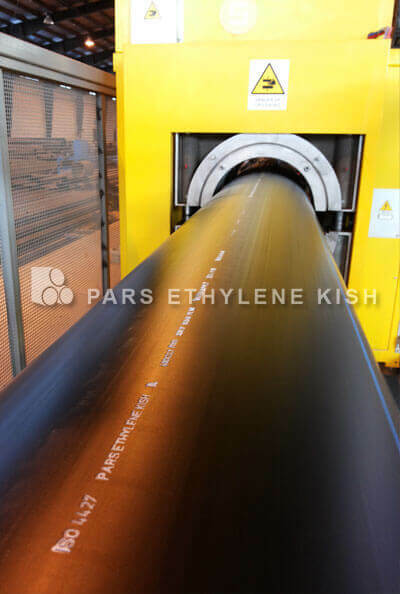 6 - What type of equipment is used to insert stiffeners into large diameter HDPE pipe? 7 - Does HDPE pipe require cathodic protection? Can it be installed in “hot” soils that attack metal pipe? 8 - Is PE-HD Pipe Cost Effective and Permanent? 9 - Is HDPE Pipe Leak Proof? 10 - How does PE pipe’s capacity for recurring surge pressures (fatigue) compare to other pipes? 11 - Can I purchase and install this product myself? 12 - Why is PE pipe better than metal pipe? 13 - How does using PE pipe save money? 14 - How does surge pressure in HDPE pipe compare with DI or PVC pipe? 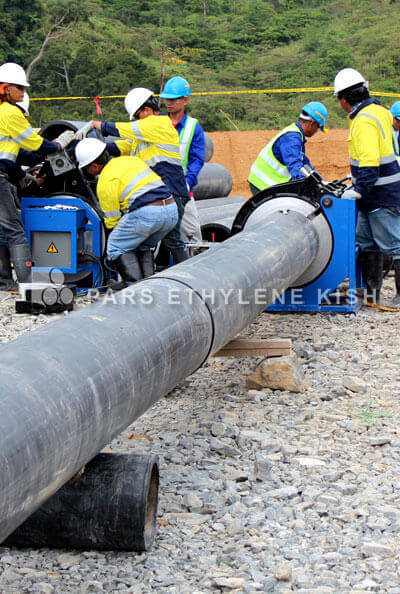 15 - IS PE-HD Pipe Flexible and Fatigue Resistant? 16 - IS PE-HD Pipe Easy to Install? 17 - Is the demand for PE pipe going anywhere? 18 - Can HDPE be used in potable water applications? 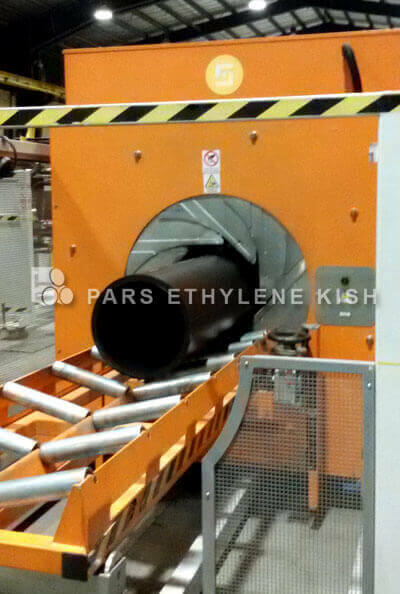 19 - What type of equipment is used to insert stiffeners into large diameter HDPE pipe? 20 - PE-HD Pipe is Corrosion and Chemical Resistant? 21 - What kinds of products are made from recycled PET? 22 - Can PET bottles that are left in a hot car or put in the microwave release dioxins? 23 - What can PE pipe carry? 24 - How does the overall cost of PE compare in price with other materials? 25 - How do I repair HDPE pipe if the ditch is full of water? 26 - What are the advantages of PE pipe for municipal water and sewer use? 27 - WILL HDPE PIPE FREEZE ? 28 - HOW EASY IS IT TO REPAIR HDPE PIPE? 29 - WHAT IS THE PRESSURE RATING OF HDPE PIPE? 30 - Can I fuse and install HDPE pipe in sub-zero weather? 31 - Can a full body tapping saddle be used with HDPE pipe? 32 - Are there certain soil requirements for PE pipe? Besides being leak free, PE pipe is environmentally friendly and is less intrusive to communities when it is installed. Instead of ripping up roads, sidewalks and habitats, municipalities can choose to use a trenchless installation technique which results in less disruption to “Main Street” or the environment. PE pipe is joined together through a unique heat fusion process that creates a seal resulting in a strong leak-free system. PE-HD pipe is much easier to handle and install than heavier, rigid metallic or concrete pipe, allowing for cost advantages in the construction process. It is structurally better able to withstand an impact than other pipe materials, especially in cold weather installations when other pipes like PVC are prone to cracks and breaks. 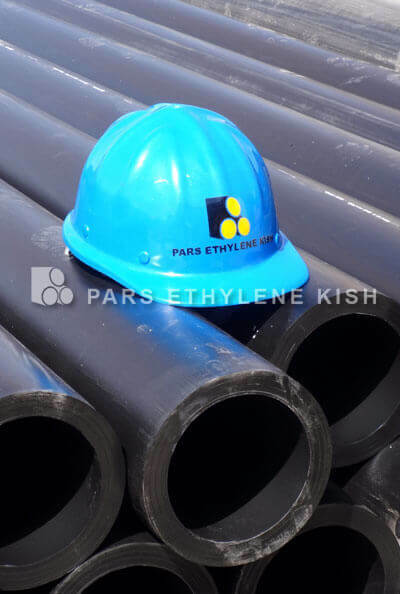 HDPE stands for high density polyethylene (many times just referred to as PE), and is made from ethylene, which can be derived from either crude oil or natural gas. 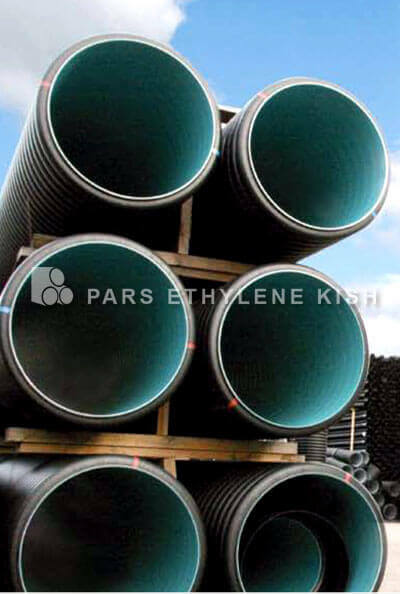 PE Pipe is extremely strong, durable, flexible, corrosion free and chemical resistant. PE is considered to be a re-roundable pipe and the cold ring clamps of a McElroy fusion machine may be used to re-roundlarger pipe. When desired, expandable stiffeners are available. 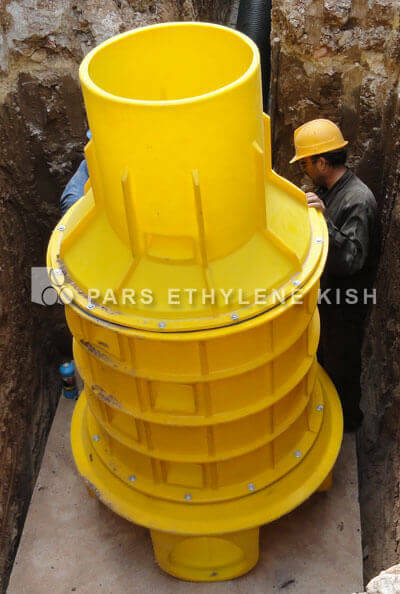 They can be inserted into the pipe and then expanded with a triangular wedge. Romac makes these for pipes up to 12”. Cascade Waterworks sells these up to 20” DIPS. PE-HD pipe is cost effective and has long term cost advantages due to its physical properties, leak free joints and reduced maintenance costs. Institute estimates the service life for PE-HD pipe to conservatively be 50-100 years. 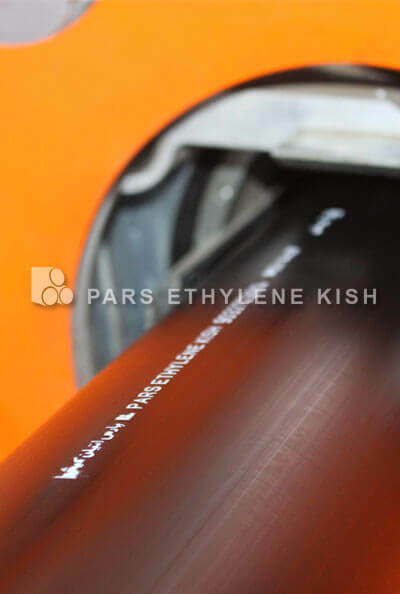 Unlike other materials, PE pipe does not corrode over time and is not susceptible to chemical damage. 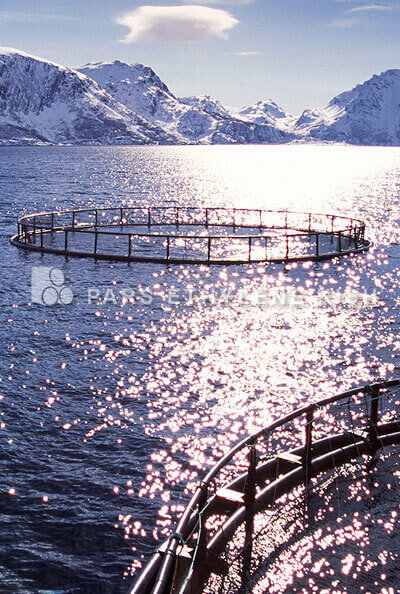 It is also much more flexible and can move with different soil conditions and ground movement. Because it is light weight, it is easier to handle, transport, and fix, which in turn reduces costs. 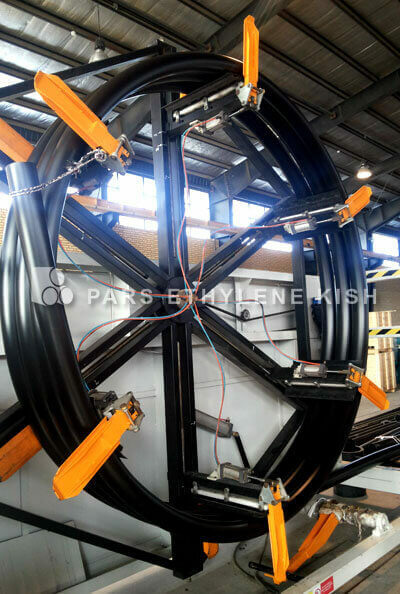 PE-HD pipe can be bent to a radius 25 times the nominal pipe diameter. This can eliminate many fittings required for directional changes compared to piping systems made from other materials. In addition, the flexibility of PE-HD pipe makes it well suited for dynamic soils and areas prone to earthquake. PE-HD pipe for pressure applications can accept repetitive pressure surges that exceed the static pressure rating of the pipe. PE-HD pipe will not corrode, tuberculate or support biological growth. It is the material of choice in harsh chemical environments. PE-HD pipe has a smooth ID and maintains its flow capability over time - Hazen Williams C Factor remains 150, even after years of use. Bottles, jars and other containers made of PET can be collected and recycled into a wealth of products. PET can be recycled into new PET bottles and containers, carpet and clothing, industrial strapping, rope, upholstery fabrics, boat sails, automotive parts, fiberfill for winter jackets and sleeping bags, construction materials, and many other items. No. 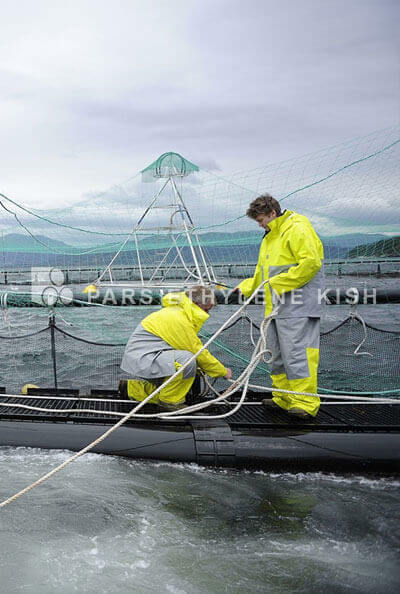 PET does not contain dioxins, nor can it produce dioxins, and no dioxins are created in the manufacturing of PET. 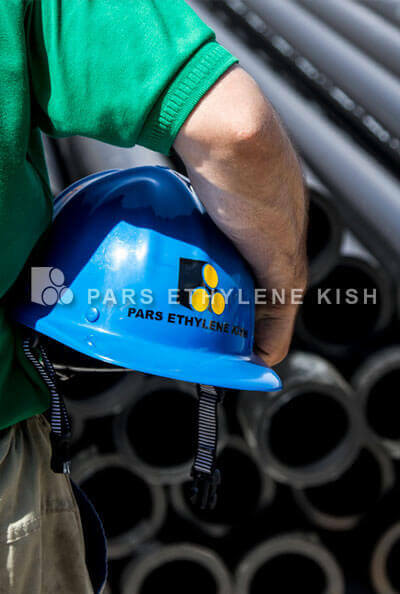 Dioxins are a group of compounds sometimes formed by high-temperature combustion (over 750 degrees F.) and certain types of industrial processes involving chlorine. 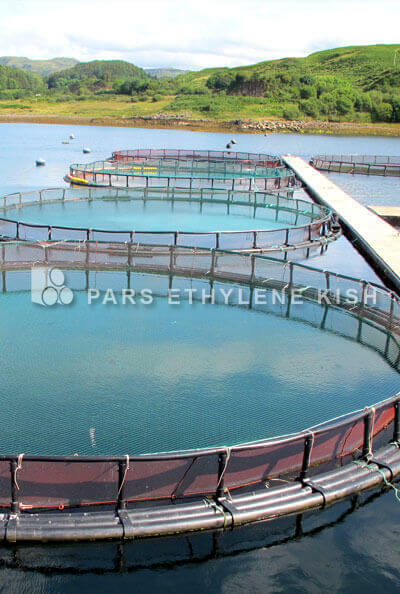 Dioxins can't be created without the presence of chlorine, and PET does not contain chlorine. Consequently, dioxins can't be produced when a PET container is heated or microwaved, exposed to sunlight, or washed and reused (all urban myths). 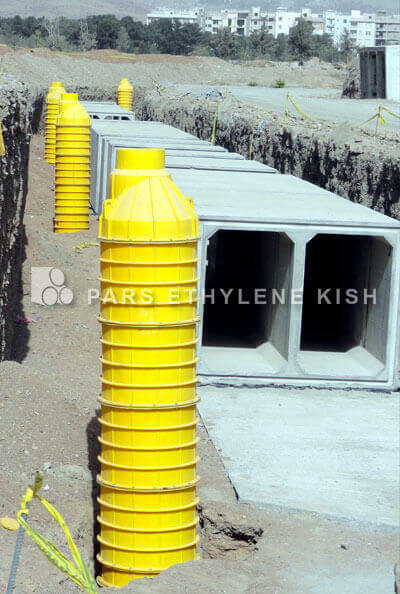 PE pipe transports potable water, wastewater, chemicals, and compressed gases. Underground water pipes are a major long term (50-100 years) investment. In addition to comparing the initial purchase price, the long term maintenance costs and overall life-cycle costs should be carefully evaluated. According to the Federal Highway Administration, utilities spend $36 billion annually on corrosion protection of pipes. 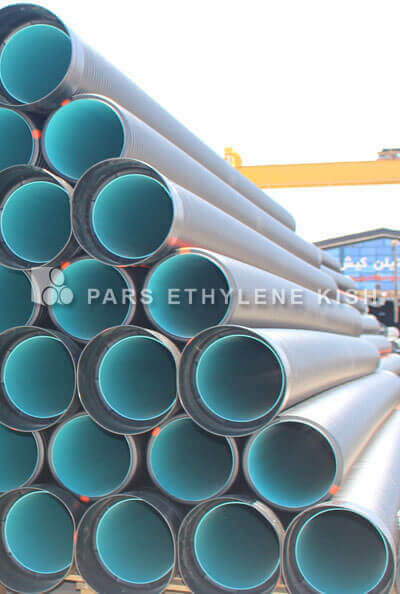 Because PE pipe does not corrode and does not leak at the joints, constant repair of aging metal pipes or leaking at the joints with all other pipes is no longer an issue. 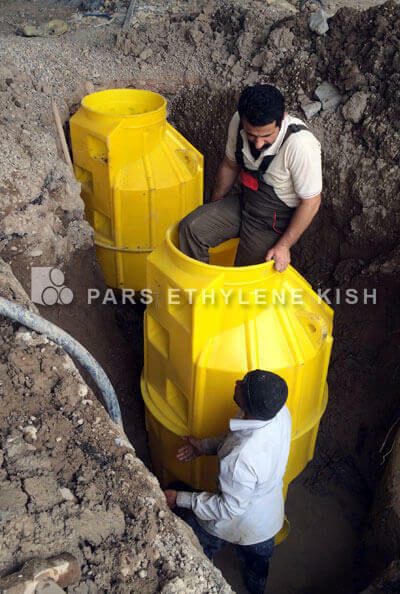 Initial cost savings are also realized with the opportunity for a trenchless installation. Compared to PVC and ductile iron, PE has the lowest life-cycle costs due to lower installation costs, lower repair rates, less water loss and lower energy costs. PVC pipe has a crystalline temperature of 32 degrees F, at which point it becomes as brittle as glass. HDPE pipe has a crystalline temperature of - 180 degrees F, which translates into less potential for failure. In fact, water can freeze & thaw repeatedly inside of HDPE pipe, without causing permanent damage to the pipe. HDPE is more durable and forgiving in most applications than PVC. By using proper fusion methods, HDPE does not have joints that fail like PVC. 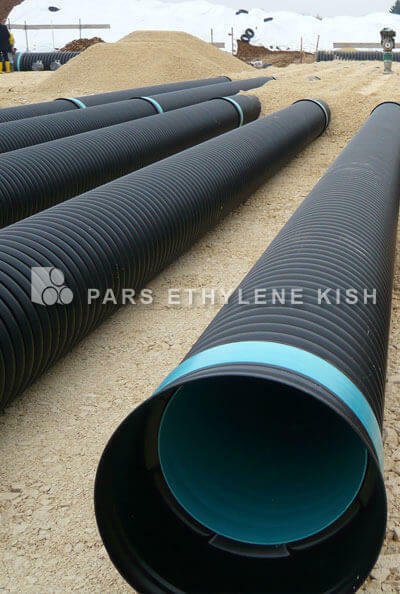 Polyethylene pipe is more flexible, and has greater impact resistance than PVC. HDPE can handle a scratch as deep as 10% of the wall thickness, without reducing the pressure rating of the pipe. PVC is notch sensitive, meaning PVC pipe has a higher inclination to fracture because of a notch, crack, or scratch. HDPE piping systems are also more surge tolerant than PVC, which means less repairs caused from pressure surges. If a polyethylene piping system is in need of repair, electrofusion couplings are one of the simplest ways to facilitate repairs. Clamp-around repair couplings, like those available from JCM Industries, offer a traditional method of pipe repair. Depending on the size, polyethylene pipe has pressure ratings up to 267 psi @ 73.4 degrees F, with a 2:1 safety factor built in. No. 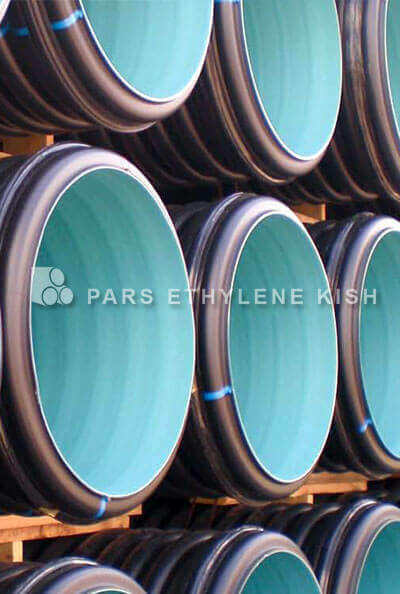 PE pipe is known for its flexibility, toughness and chemical resistance. 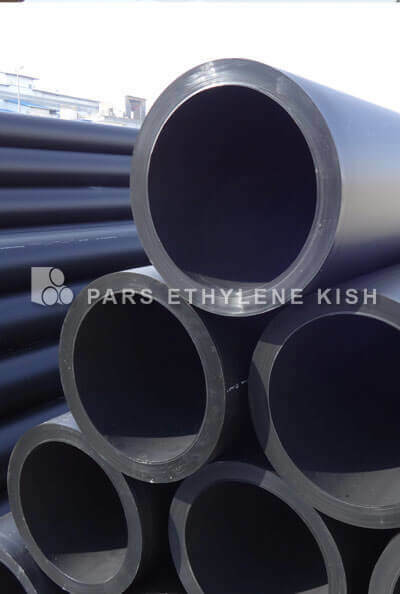 PE pipe can withstand great pressure changes due to its outstanding ductility and toughness. These performance characteristics make PE pipe an excellent choice for dynamic soils and earthquake prone areas that require a strong, long-lasting and corrosion-resistant pipe that is also flexible enough to be installed and assembled in harsh and challenging environments.